NBI had launched Janbi, the first professional banking certification course in Nepal, on 09th October 2015 which has emerged as a very popular program in this sector. 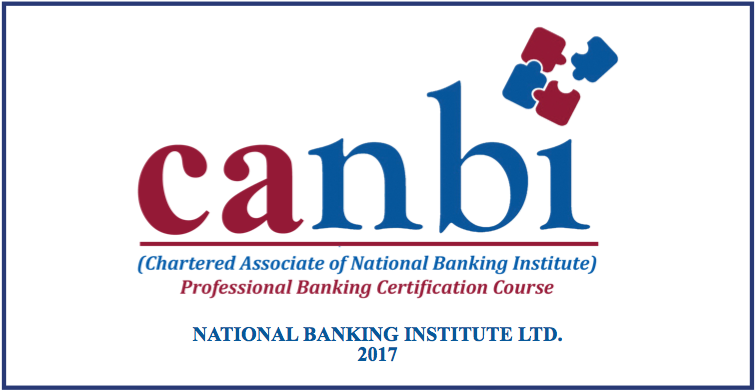 Next, higher level of certification course, Chartered Associate of National Banking Institute (CANBI) has now been developed and launched. CANBI ,an advanced level of the certification course, is expected to be instrumental in contributing to the industry in polishing banking knowledge of the banking professionals and inducing the traits of true banking leaders for the benefit of the industry as a whole. Similar to JANBI, CANBI too has been a product developed in collaboration with Indian Institute of Banking and Finance (IIBF), Mumbai, India. IIBF, a pioneer institute of more than 95 years old contributing in this sector in India and other markets , certifies a number of banking courses in India and in various SAARC and African countries, organizes trainings and carries out research works. Please see the attached brochure to find the detail information about this course.